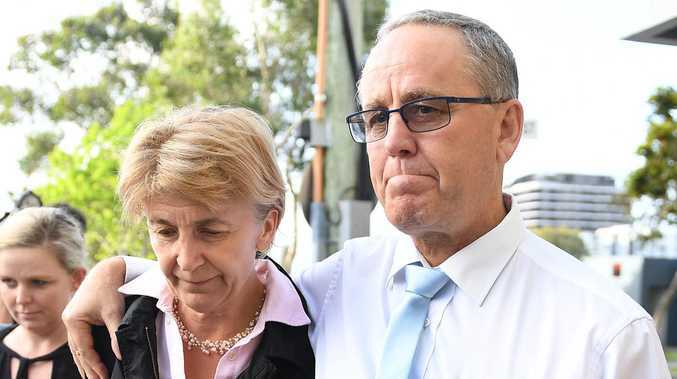 DREAMWORLD engineering supervisor Scott Ritchie, who was working the day four people lost their lives on the Thunder River Rapids ride, has apologised to the victims' families. 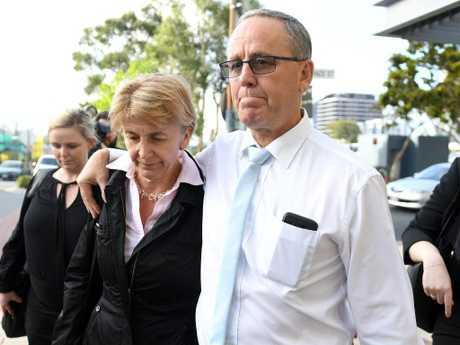 Mr Ritchie was quizzed at the inquest today and yesterday, remaining unemotional throughout. But as Mr Ritchie was dismissed from the inquest on the Gold Coast today, he asked if he could address the victims' families. "I deeply apologise for not being able to make eye contact with you. I wanted to give my evidence without emotion," he said through tears. "Please accept my sympathies for what you've gone through." Through his hours on the witness stand, Mr Ritchie maintained the cause of the fatal incident was operator error, not the failing pump. Earlier, the inquest heard Dreamworld had dismissed an external safety report identifying the emergency stop procedure was an "acceptable risk" years before the incident. Panicked Dreamworld operators had tried to stop the Thunder River Rapids ride before it flipped and killed four tourists. Mr Ritchie was shown a copy of the 2013 safety report at the inquest today, which listed the four-step process as a "risk". In an email dated July 17, 2014, Dreamworld reviewed the company's audit, which had noted the "emergency shutdown procedure posted at ride". "During an emergency, a simpler automatic process should be considered. Recommend that the safety system should be considered. Recommend that the safety system be updated to ensure correct steps are taken by a single emergency button, which will ensure the appropriate timing and sequence," the audit read. The emergency stop procedure for the ride was brought up again in May 2016 with one of the theme park's attractions supervisors being urged by his manager to investigate the possibility of simplifying the steps. Jason Johns emailed a park engineer five months before the tragedy as part of his review into the ride's operation procedures to check if the shutdown could become a one-button task. "In regards to the emergency shutdown procedure (persons in water/raft capsized) what is the possibility of having the below steps changed from individual steps into one step? There has been some conversation around this, just asking the question," Mr Johns wrote. On Monday, the inquest heard the only emergency stop button that would instantaneously bring the conveyor to a complete stop was located at the unload area, not on the control panel where the main operator worked. Mr Ritchie rushed to the scene on October 25 after Dreamworld workers radioing about a problem on the Thunder River Rapids quickly escalated to a "Code Grey", signalling a medical emergency involving machinery on a ride. Dreamworld inquest: Inquest hears from senior ride trainer. 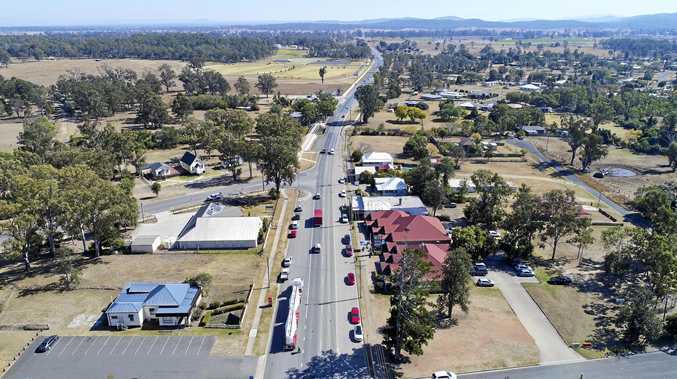 Mr Ritchie was working as the engineering supervisor on the day of the tragedy and told the inquest he "would've taken action" if someone had notified him of the second breakdown on October 25. 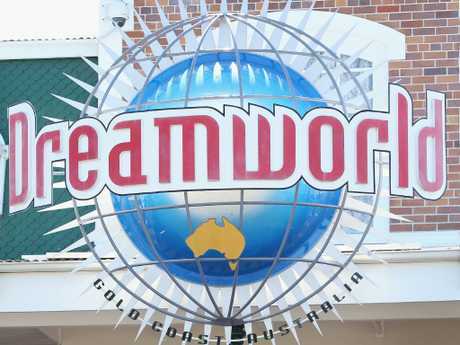 Dreamworld had a policy to shut rides if there were two breakdowns in the one day. Mr Ritchie was notified of the first breakdown but not the second, he told the inquest. Minutes after the ride was restarted, the south pump malfunctioned again, causing the water level on the ride to drop and the raft carrying Luke Dorsett, Kate Goodchild, Roozi Araghi and Cindy Low to flip. "If I had been aware of the second trip on the Tuesday sir, I would've taken action," Mr Ritchie told the inquest. "It's hypothetical but this is what I believe I would've done."